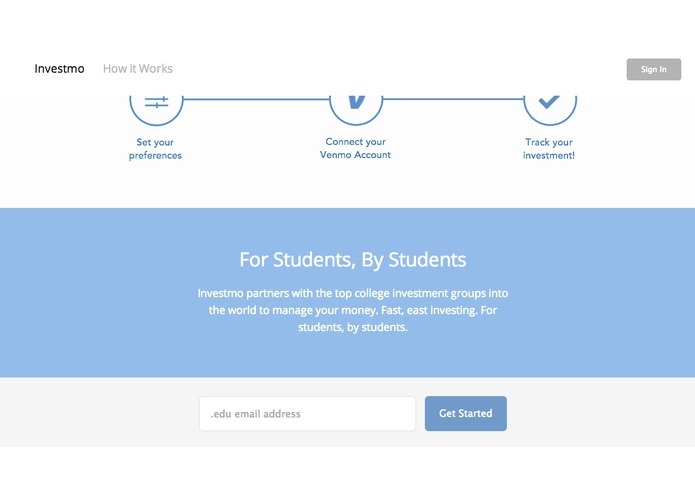 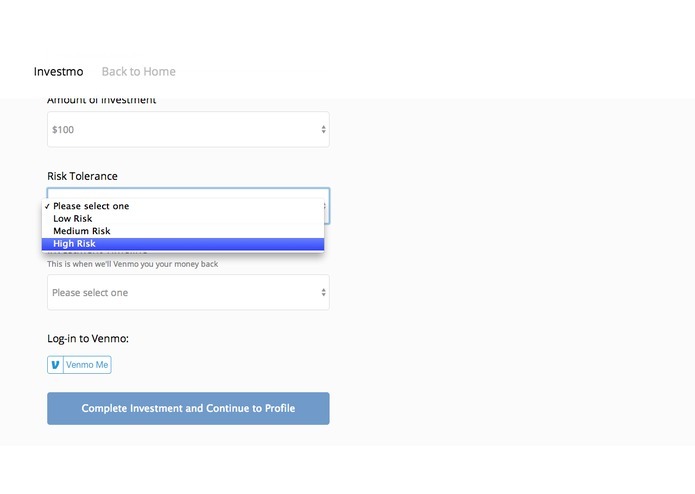 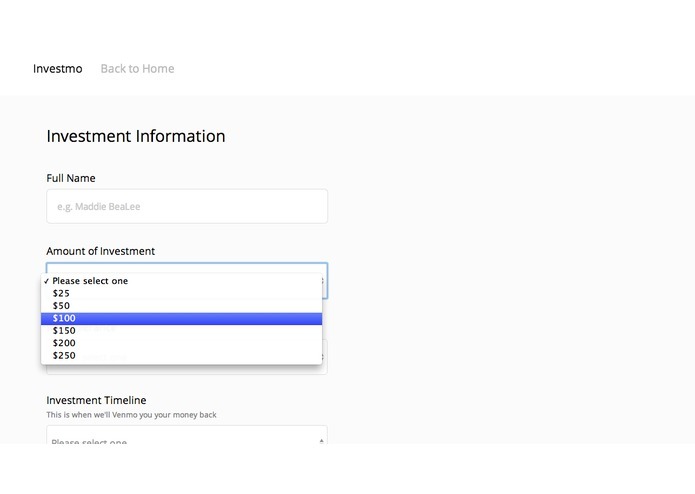 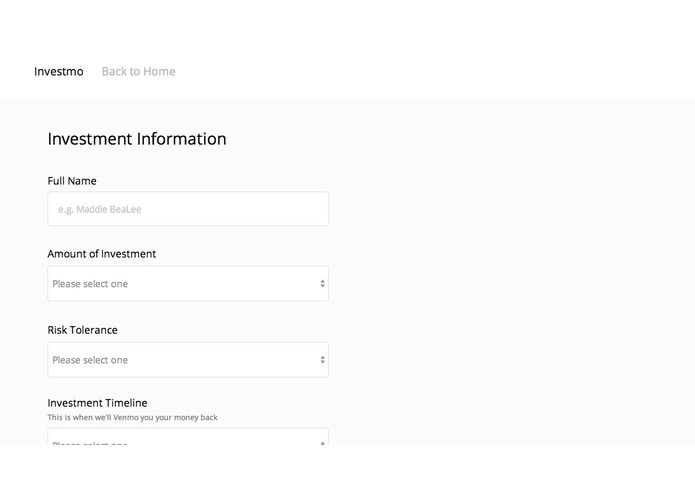 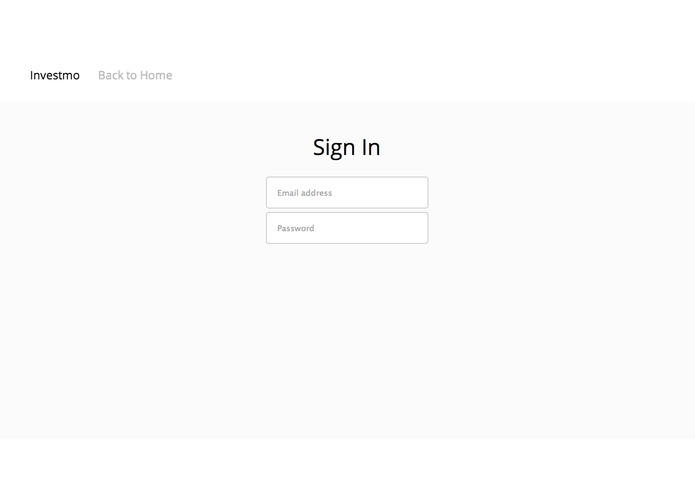 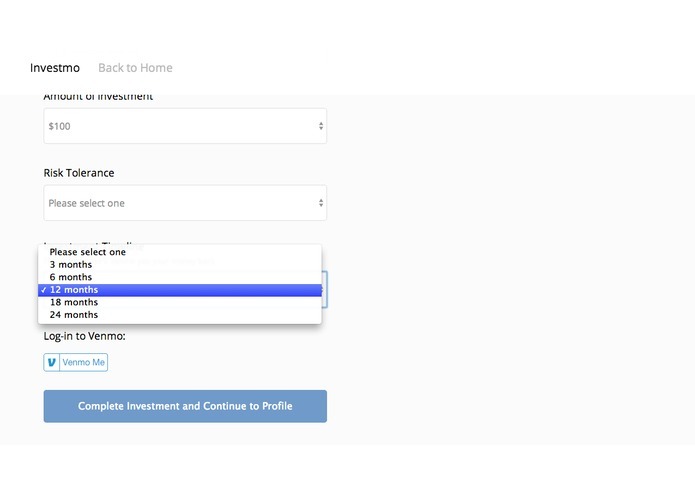 Investmo is a web app that is market towards the average college student - the one who doesn't know much about investing, and doesn't have much capitol to invest. 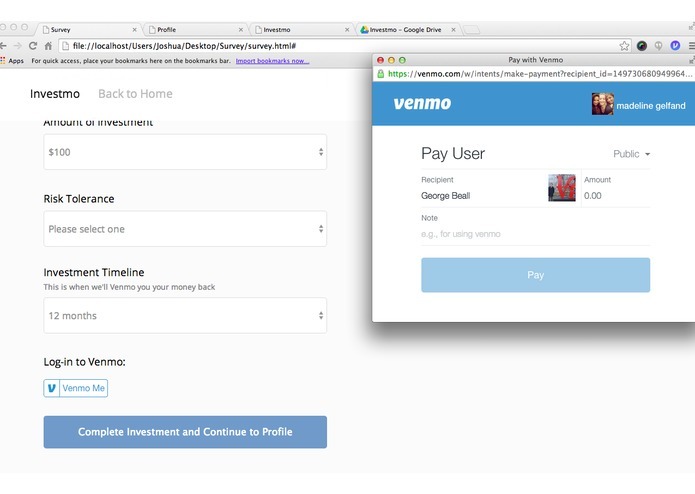 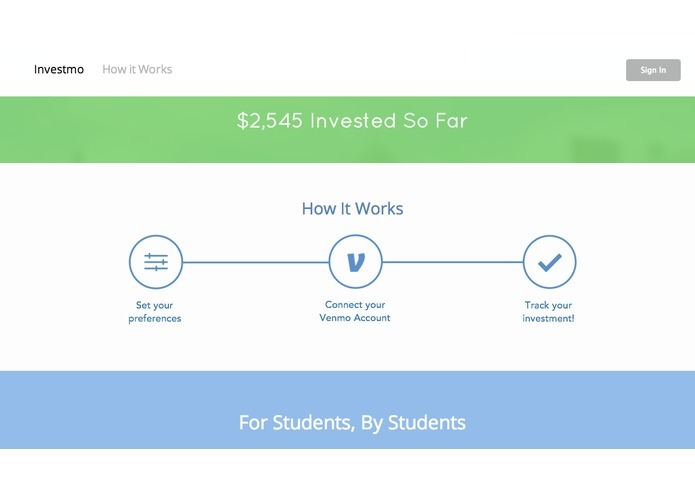 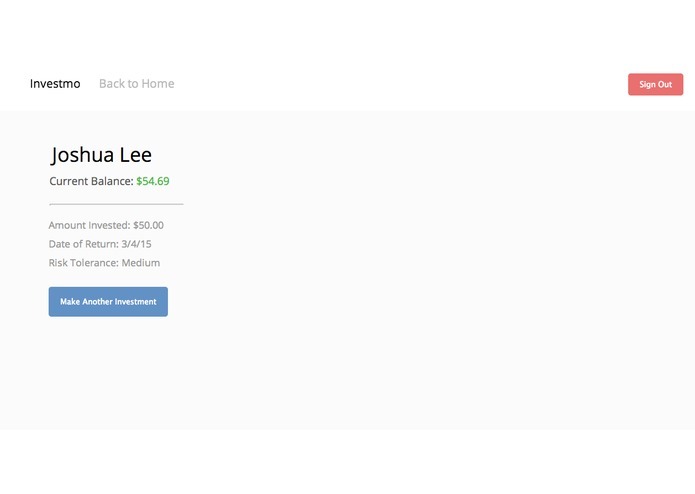 This student can easily invest small increments of money to different industries through their Venmo account. 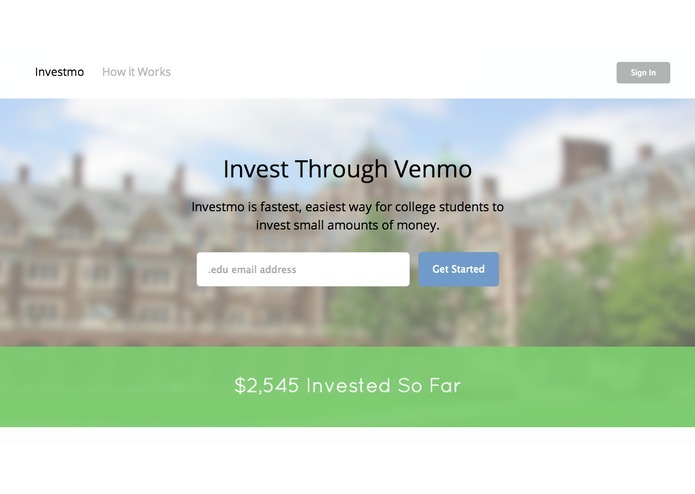 The Venmo account sends the money to their respective college campus's student investing group.